The last Parisian attraction I'll talk about is the Grande Gallerie d'Evolution in the Jardin des Plantes. 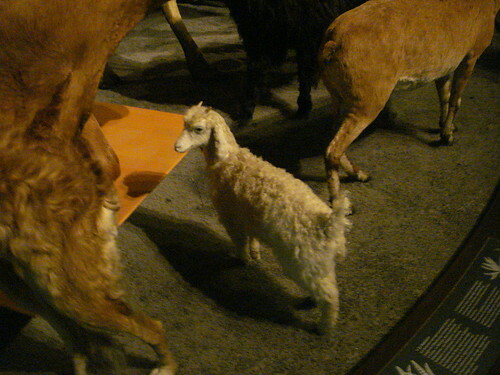 This is a really fabulous museum, but I wasn't going in here expecting to see fiber stuff! So, it was a doubly pleasant surprise. 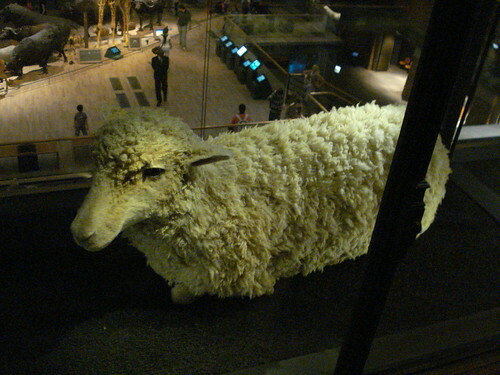 The Grand Gallery of Evolution is a wonderful, large museum, mostly containing taxidermy animal specimens. All the signs are in French, so some of it was pretty mysterious, but it was still fascinating. Unique here was the room of endangered & extinct animals, containing many rare specimens, some among only a handful left in the world. But, I digress - the fiber, yeah? 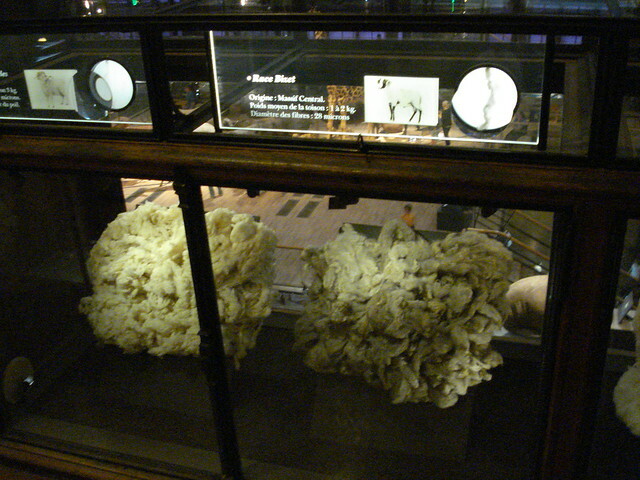 The fibery stuff is on the second-to-top floor, which is mainly about how humans influence evolution. 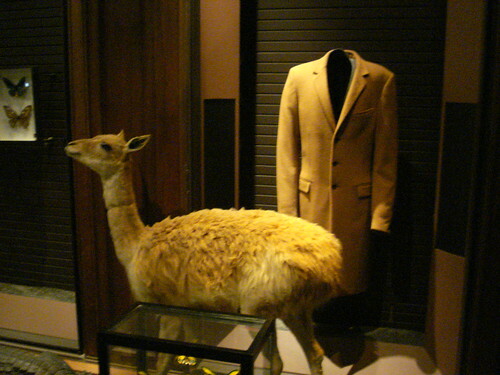 For instance, they have a vicuña specimen (an undomesticated camelid nearly hunted to extinction, now recovering in numbers), along with a jacket made from vicuña wool... With a going rate of $250 an ounce, can you imagine how much that must cost?! 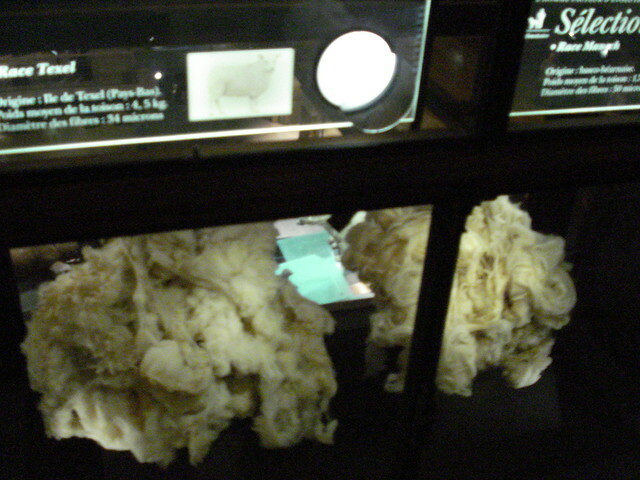 ...and a collection of fleeces, showing how selective breeding changes the nature of the fiber. Going all the way from 22-micron merino, to manech, with a staggering 50 microns! 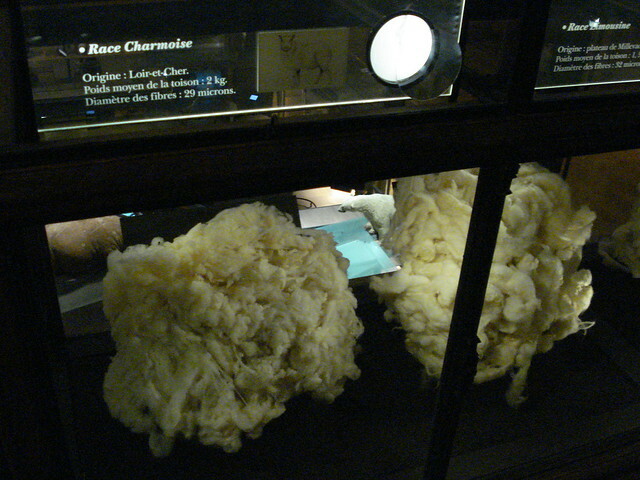 Their wool looks like hair! 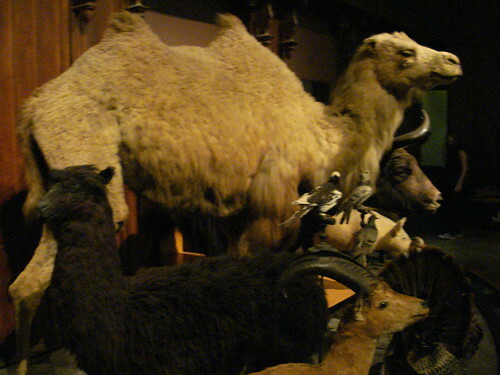 They also had a selection of wild & domesticated animals, demonstrating the differences between them. The Jardin des Plantes is a wonderful place to spend time in - in addition to the Gallery of Evolution, it also has three other museums and a zoo, and it's also right nearby the Grand Mosque of Paris (La Mosquee), which is beautiful.